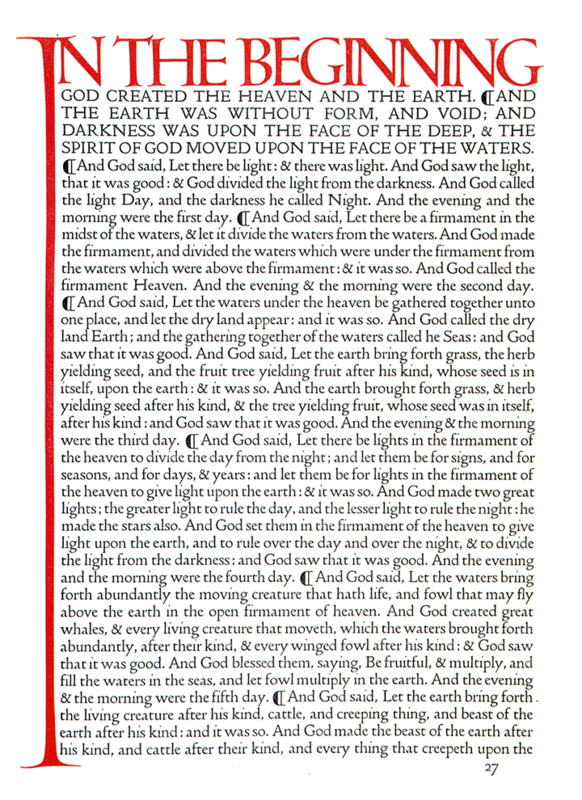 The Doves Type legend is one of the most enduring in typographic history and probably the most infamous. 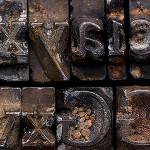 It’s the story of a typeface and a bitter feud between the two partners of Hammersmith’s celebrated Doves Press, Thomas James Cobden-Sanderson and Emery Walker, leading to the protracted disposal of their unique metal type into London’s River Thames. Starting in 1913 with the initial dumping of the punches and matrices, by the end of January 1917 an increasingly frail Cobden-Sanderson had made hundreds of clandestine trips under cover of darkness to Hammersmith Bridge and systematically thrown 12lb parcels of metal type into the murky depths below. 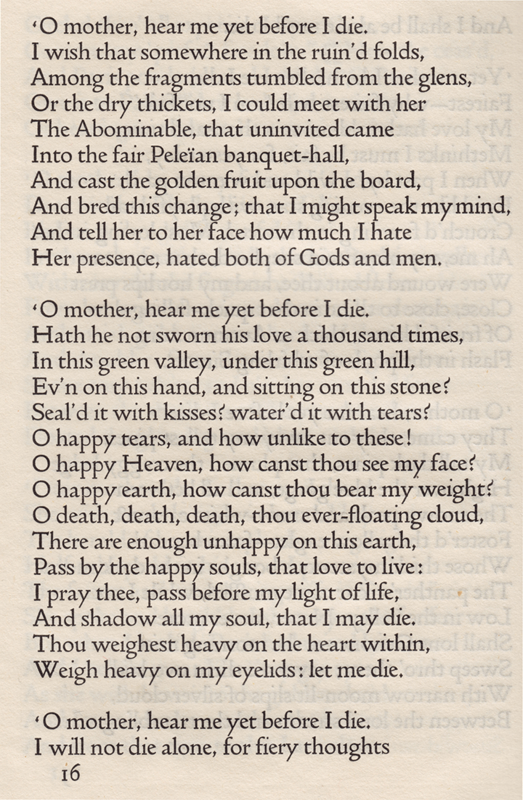 As one person so aptly commented on Twitter recently, this notorious tale bears all the hallmarks of a story by Edgar Allan Poe. 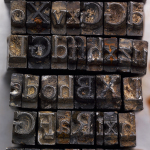 The original Doves Type was crafted by master punchcutter Edward Prince, based on drawings produced by Percy Tiffin of Nicolas Jenson’s pioneering 15th-century Venetian type. 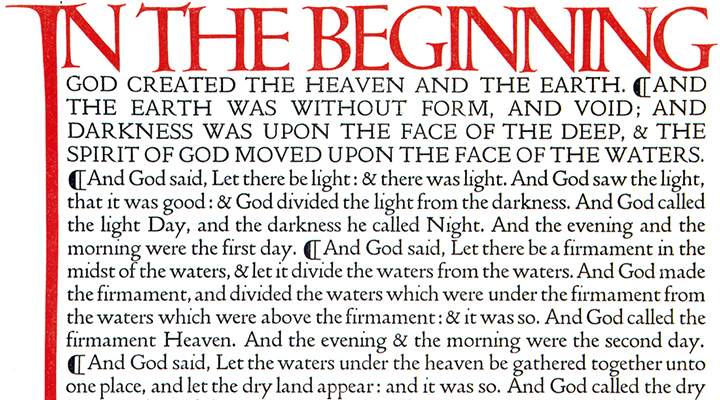 William Morris, founder of the Kelmscott Press, had actually developed his own ‘Golden’ type some years before The Doves Press came into being but Doves is held by experts as being more faithful to the original Venetian letterforms. 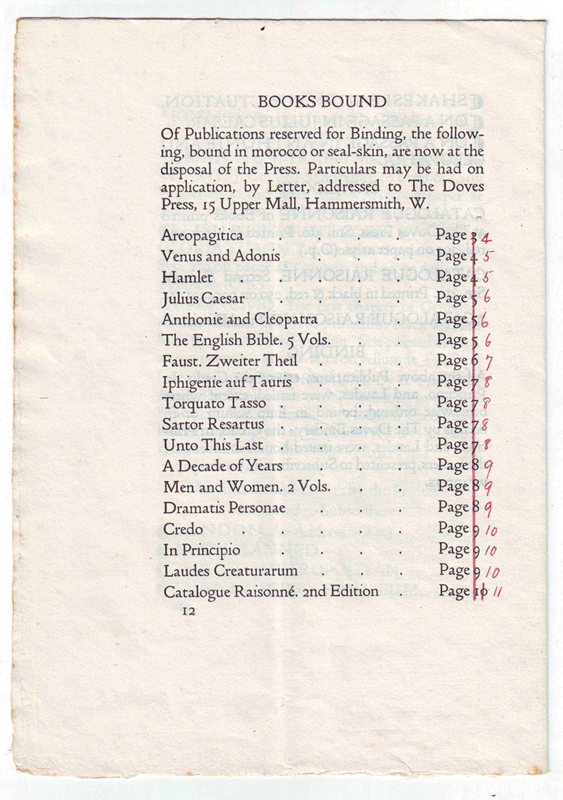 By 1908, despite successful Milton prints & the aforementioned Bible, the Press was in dire financial difficulty. Subscribers began melting away after Walker had effectively left in 1906 as the bitter & acrimonious dispute took hold between the partners. On finally dissolving their partnership in 1909, Cobden-Sanderson began attempts to wriggle out of an earlier promise that, should the partnership cease, Walker would receive a fount of type ‘for his own use’. Walker retaliated, issuing a writ insisting that the Press shut down completely and he receive 50% of remaining assets. In 1909, the Press’s only valuable asset was the type. A compromise was reached, brokered by their exasperated friend Sir Sydney Cockerell, which allowed Cobden-Sanderson uncontrolled use of the type for as long as he lived, at which time it would pass to Emery Walker, if he did not die first. 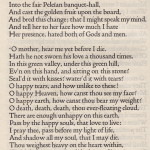 The thought of ‘his’ typeface being used by anyone else, and in a manner beyond his control, prompted Cobden-Sanderson’s now infamous course of action. 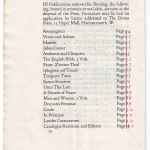 Only the Doves Press, run exclusively by him, could be bestowed the honour of printing his type. And so the mission to destroy it, beginning with the punches and matrices on Good Friday 1913, began. On an almost nightly basis from August 1916 the ailing septuagenarian dumped the type into the Thames, wrapped in paper parcels and tied with string; “bequeathed to the river” as he put it in his personal diary. Every piece of this beautiful typeface, more than a ton of metal, was destroyed in a prolonged ritual sacrifice. 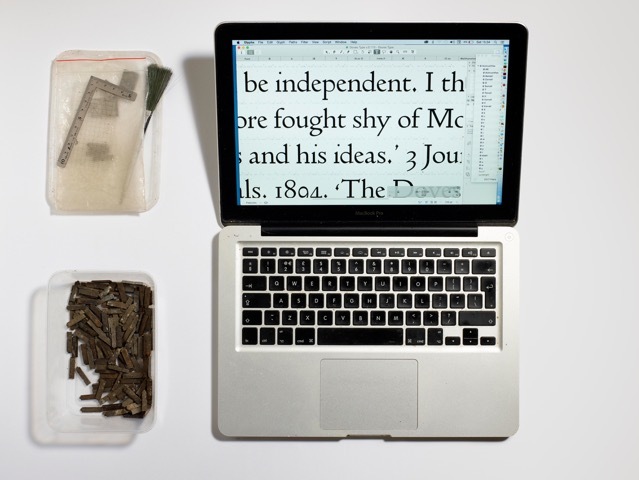 Green’s quest to re-produce the Doves Type in digital form has been a true labour of love, a project he came close to shelving on several occasions due to the paucity of (affordable) source texts and occasional blind alleys he was inadvertently taken down. Much agonising took place over the general approach to the project, deciphering the complex geometries, then individual letterform dilemmas due to ink spread inconsistencies and anomalies in the punches and matrices. The end result isn’t so much a revival as a ‘digital facsimile’ of the original typeface, but most importantly he’s succeeded in doing justice to it. The first release (2013) in OpenType format was an Imprint weight, complete with ligatures and detailing from the metal predecessor; Green wanted to be as true to the original as possible but there are concessions to modern day requirements in the form of Dollar & Euro currency symbols plus extended latin diacritics which didn’t feature first time around. 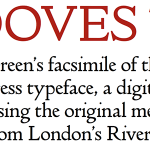 Doves Type® Regular, refined after recovery of the original metal type from the Thames, replaces the initial 2013 release, improved in 2016 for contemporary usage. This latest release of the updated Doves Type® contains extended glyph coverage including small caps, together with both lining and tabular figures. Tracking and kerning have also been adjusted for 21st century usage. 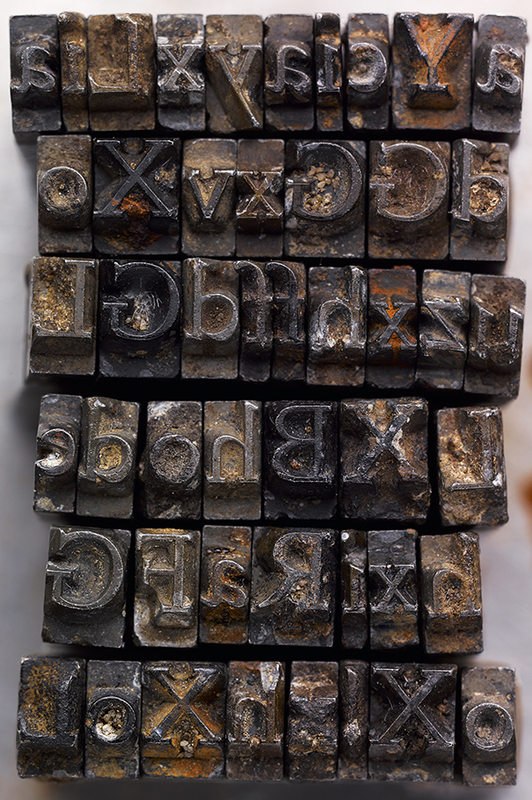 The original Doves Press type, cut for letterpress with its physical constraints and inherent quirks, contains spacing which would appear uncomfortable to modern eyes in web-based and litho applications. Go to the font download page for more details and to buy the font(s). Click on a thumbnail below to browse a gallery of larger Doves Type images. Eager for news on this beautiful project. It’s been a while since we heard anything on its progress. Thanks for the interest guys, the good news is that it’s looking like July/Aug for launch, the designer is putting some finishing touches to it as we speak. Completed! Click on link above to view and buy. What a beautiful typeface and project. I just read the story on this and it’s simply stunning the amount of work that went into this. This is the next typeface on my wishlist! What superb work! It is beautiful. Are there italics and different weights ? 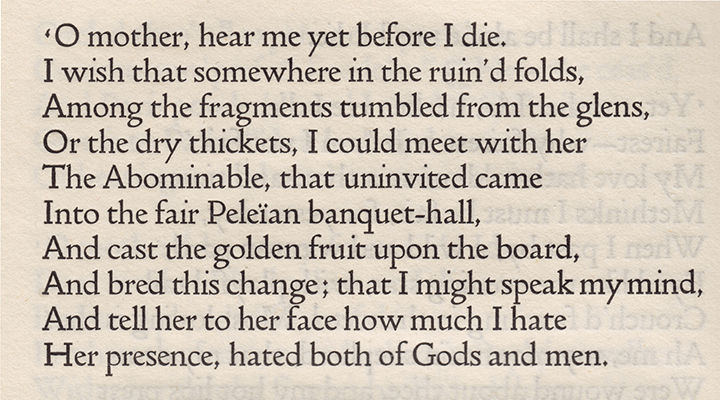 A beautiful and classical typeface reminding of renaissance books. I do miss the Norwegian-Danish special types ø Ø å. You already have an Å, I can see, as well as æ Æ.
Don’t worry Uffe, all the scandinavian characters (including a ring and o slash) are included in the font, they’re just not shown in the sample. Loving this font, not least its historical significance. 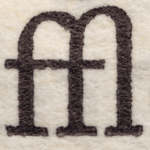 Finally worked out how to use the discretionary ligatures, and I appreciate the extra ones you slipped in. The additions I can hardly wait for. Thanks for your hard work. Having recently finished reading Robin Sloan’s “Mr. Penumbra’s 24 hour bookstore”, reading the article in today’s Sunday Times Magazine gave me a feeling of reality imitating art. Such a beautiful font. Is it really slightly heavier than the original or is it due to the scans of the original? I’m looking forward to getting a project where I can use it. It’s just so elegant. Keep up the amazing work. Are there other “mystery fonts”? My Dad was a printer and he would have enjoyed this mystery and rebirth. How nice! I would love to buy it. The font is Beautiful, would it be wishful thinking of me to think you might make some Metal work letter stamps? Hi James, I’m afraid there are no plans to do that currently. That font is magnificent! I ought to write a wonderful period piece *just* to set it in that font. Elegant in the extreme, ligatures and all. What formats does it come in (ttf, etc. ?, use with Word Perfect in W7 or Libre Office in Linux? I want it!!!! 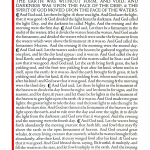 I’d love to use Doves Type on my next book but it will need italic. Is there any news when this might be available? Hi Ron, the designer Robert Green has decided against producing an italic, principally because the Doves Press never had their own italic, they used one by the Miller & Richard foundry on occasions. Thanks Mike. The font comes in OpenType OTF format which should be compatible. It could be a very nice movie! 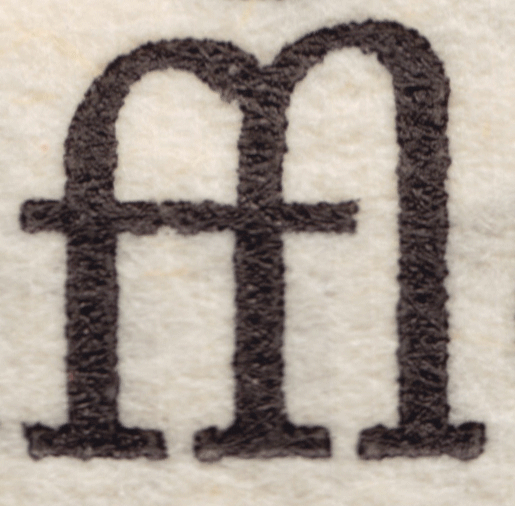 When might we see the initials by Edward Johnston? The Doves Type very much needs them for drop capitals! Johnston Capitals should be ready in late summer Karl. I bought this font, it is awesome. To extend its use cases, I would totally buy an italics version. Even though not its original use case! And I realize the designer opted against a “Doves” italic, but a Modern Dove Italic (totally different font name and could be like the M&R foundry borrow) would be great. I second the vote for italics and also nominate a bold typeface. Mightn’t we have a little look at the Edward Johnston CAPITALS? Work is underway Karl, stay tuned! To satisfy my curiosity: is there any obvious reason why the numerics 6 and 8 are raised ‘above the line’, compared with the other numbers? Was this common practice among these older type-faces? Hi John, the numerals are of the “Old Style Figures” variety with certain numbers designed to drop below the baseline (3,4,5,7,9) and others extend above the standard x-height. A much more elegant proposition than “lining” figures and certainly very fitting for this typeface. Hi Tom (and others expressing a similar wish), I’m happy to tell you that an italic is in the early stages of production. Stay tuned for further developments. JoeG: YES! Send a mailing when it happens! My mother, who loved books and had been a librarian’s assistant, died 25 July aged 91. I have decided to use Doves Type on her small grey granite marker, which will be too small for any decorative motif. With Doves, none would be necessary. She would have loved the story as well as the lettering. Just checking in again…. would LOVE the italic version of this font. Still eagerly awaiting an italic version…..
Now that’s what I call dedication – referring, of course to Robert Green. Congratulations and thanks for uncovering and restoring this masterpiece of type design. Hi Tom, Rob is working on it as we speak but it’s still a few months off. 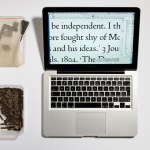 Check out Rob’s twitter feed @TheDovesType for recent images. Cheers Harry! Rob’s dedication has driven this from day one.